There are many different channels that can be used for marketing execution and distribution, from email to social media platforms to text messaging for business. Each of them has different levels of responsiveness. Emails can sit in the inbox until a convenient time arises to respond. Social media is often something scanned, liked, and perhaps shared, rather than directly responded to. Text messaging is intuitive and immediate with the ability to drive responses quickly and easily. Think about your experience with texting. When that ping sounds on your smartphone, what do you do? If you’re like most people, you look within a few seconds. Because we’re so used to texting, we’ll often respond just as quickly. Texting is easy. It’s the most used function on our smartphones—more than calling or accessing email or the internet. When it comes to using text messaging for business, advanced messaging platforms help marketers to show their companies are more responsive and attuned to customers. From personalized messaging conversations to automated conversational flows, SMS messages that help get things done can help you to better engage and retain customers through an interactive approach. Asking for feedback can happen at any time during the customer relationship. You can use a simple survey to monitor your Net Promoter Score (NPS) after a service call. But you can also ask for feedback about products, what your customers like, need, and want, as well as their impression of an event they attended. Once you know the scenarios you’d like to use for surveys or gathering feedback, it’s simple to automate them to trigger based on your customer’s behavior and activity. The possibilities are endless for these and other industries, and it’s been found that surveys presented through text messages receive response rates 2X higher than surveys conducted by phone and 5X higher than online surveys. No shows and last-minute cancellations are expensive for all businesses. Let’s say the average revenue from an appointment is $50. A full schedule is 10 appointments per day. Two appointments per day are no shows. If this trend continues, you’ve lost 20% of your potential revenue. But no shows can be even more costly when you figure in all the time your staff spends scheduling appointments and the other details involved in preparing to serve customers, plus the cost of having the right inventory in stock to serve them and paying the staff you’ve scheduled to serve your customers. Industries with a high impact to business from no shows include hair salons, hotels and spas, wellness offices, doctors, dentists, dog grooming, and more. No shows and last-minute cancellations affect all service businesses. 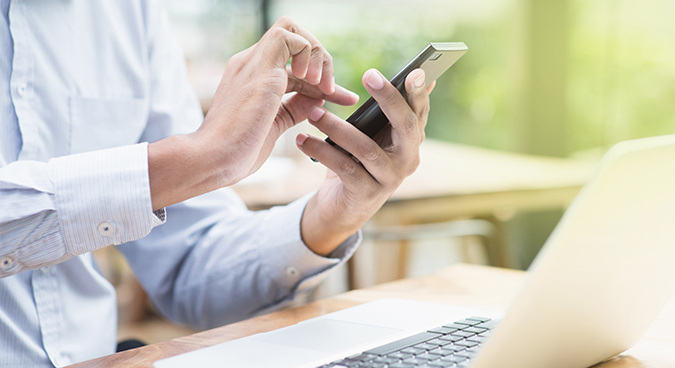 With text messaging for business, you can invite your customers to schedule appointments via text, send them reminders as the appointment approaches and even offer them the opportunity to reschedule prior to missing their appointment if their schedule has changed. The ability to automate this process means you’re able to increase the productivity of your staff for other tasks and help them spend more time focusing on serving your customers, rather than scheduling. The immediacy of text messaging means they are more likely to see an appointment reminder than they would an email or a voicemail—and they’re more likely to respond quickly. Many businesses have offers that are immediate by nature. The objective is to increase sell-through from that offer within a specific time. You get the idea. With the immediacy of text messaging, your promotional offers are more likely to be acted upon swiftly. Sending a text within close proximity to the timing of your offer increases the urgency your customers will feel to respond to take you up on them. Text messaging has many uses for businesses, but one of the most effective uses is to capitalize on the immediacy made possible with a channel that gets such a high read and response rate. This is not to say that other channels aren’t effective, it’s all in the purpose and nature of the communication. Helping your customers get things done will help them be more receptive and responsive to the messages you send them in the future.